Liz from Fit Kids Clubhouse is here today, sharing a truly inspiring post, honoring mothers who are also teachers. Her recent post on making Christmas crayons is something I plan on trying out this weekend. I also think my boys would love blowing the gigantic bubbles like her students did in this post on exhaling. You can also follow along with her on Facebook, Pinterest, or Google Plus. 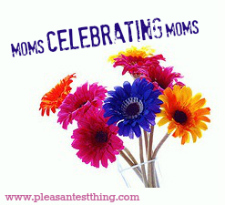 When asked to write a post for “Moms Celebrating Moms” the first Mom to pop into my head was, of course, my own. I could write pages on the woman who was married at 19, only to become a single mother a few short years later. I could spend days telling you how she is the daughter who takes care of her aging mother, the wife who nurses her sick husband, the sister who is always there for her brothers, and above all, the very best grandmother to her only grandson, my baby boy. Yes, I could celebrate her all day. Truly, we are blessed to have her as the rock in our family. She knows that on this journey through Motherhood, she is my compass. Like most mothers though, there came a time where she had to let me walk through the doors of a big building and into the classrooms of other mothers. So today I shine the light on the moms who parent not only their own children daily, but entire classrooms of children as well. The moms who tie shoes, settle disputes and wipe tears, all while simultaneously teaching reading, writing and arithmetic. I have had amazing teachers throughout my years of education. I have distinct memories of the first grade teacher who showed me just how to handle an annoying hair pulling boy, a lesson that has stayed with me for a lifetime because let’s face it, boys never stop being annoying. I still laugh when I recall the woman who put on her “babushka” and did the “dupa dance” to start the day off entertaining her tired little second graders. She taught me the importance of letting yourself be silly. In sixth grade when my last name was changed mid-school year and I felt awkward, my teacher decided to turn it into a reason to celebrate. She single handedly turned that name change (and the confusion I felt about it at the time) into something I can now look back on and smile. The list could go on and on, as I remember teachers who were there for me above and beyond the classroom walls and their job descriptions. Children don’t leave their personal lives at the door before they enter a classroom. Their teachers not only have to work with what is on the lesson plan for that day, but what is on that child’s mind. Last time I checked there was no on/off switch to this mommy thing either. When a child is in need, a mother acts. The teacher, who is also a mother, often has to balance being both. 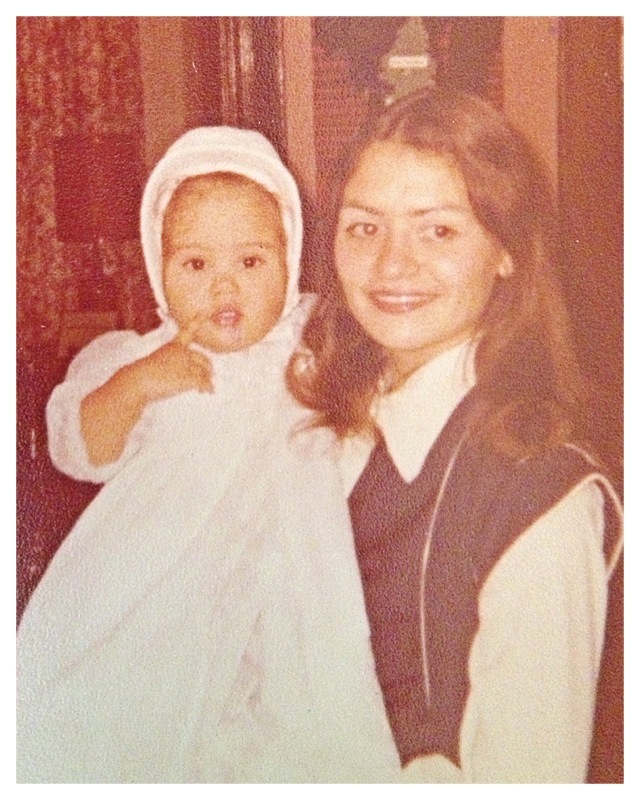 One last story, because I would be remiss to honor moms who teach without mentioning this woman. She was always smiling at her students through her perfectly applied lipstick. No one could wear lipstick as well as she did, and no one could smile that big, for that long, every day. Really, I remember that smile. I also remember her wiping my tears during a very tough time in my young life. She consoled me, she made me laugh, and she challenged me. She encouraged me to take an admittance test into a local school for honors students, and she helped me prep for that test. She sent me a card when I got that sixth grade last name change. Many years later when my last name changed again, she was smiling through the perfect lipstick from the Bride’s side of the Church. She showed me that being a teacher was much more than letters and numbers, and she was the very reason I chose to become a teacher myself. She had daughters of her own to mother, yet she still took the time to mother all of the students who walked through her classroom door. I will forever be grateful to her for that. When I think of moms celebrating moms, I think of every mom who chooses not only to be a mother to her own children, but to all of ours as well. Thank you. I wrote this post before the events that occurred at Sandy Hook Elementary School in Connecticut. I feel I must add, first and foremost, my heartfelt prayers to all of the families and faculty that are dealing with the aftermath of such horrific events. When I wrote this post I wanted to express my gratitude for moms who mother entire classrooms of children. Sadly, I must now add moms who risk their own lives to protect the lives of those children in their classrooms. There are no words that could even begin to express the gratitude and recognition they rightfully deserve. This series is an amazing reminder to take the time to honor moms we love, and each other, so let us do just that.